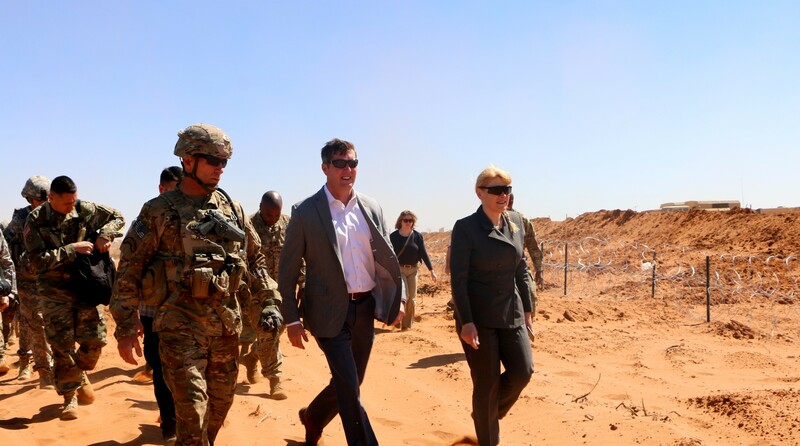 The acting Assistant Secretary of the Army for Acquisition, Logistics & Technology, Katrina McFarland, visited the NIE during field operations this past May. Along with the complementary Army Warfighting Assessments, the NIEs are large-scale exercises that put new technologies in the hands of Soldiers who evaluate and assess new concepts and capabilities supporting the fight today, Force 2025 and Beyond. 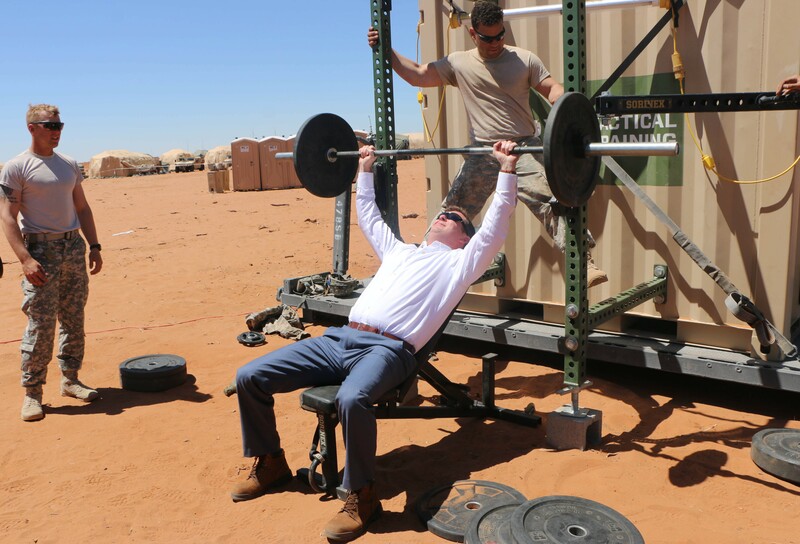 "Receiving Soldiers' feedback and understanding their needs are instrumental in fielding the best-equipped Army in the world," McFarland said. "The NIE helps the Army make better and more informed decisions in our modernization efforts as well as how our new capabilities are trained and sustained." As the Army Acquisition Executive, McFarland's visit to NIE will help inform the Army on the continued evolution of network and mission command capabilities. During her visit, McFarland experienced how the Army's objective of leveraging integrated communications technologies and capabilities to meet current and future needs is culminating at the NIE. One of McFarland's stops was at the 2nd Brigade Combat Team, 1st Armored Division's Main Tactical Operations Center, where she received an overview of the capabilities that were under operational test. Soldiers demonstrated the network enhancements and provided insight into how the systems would be utilized out in the field. 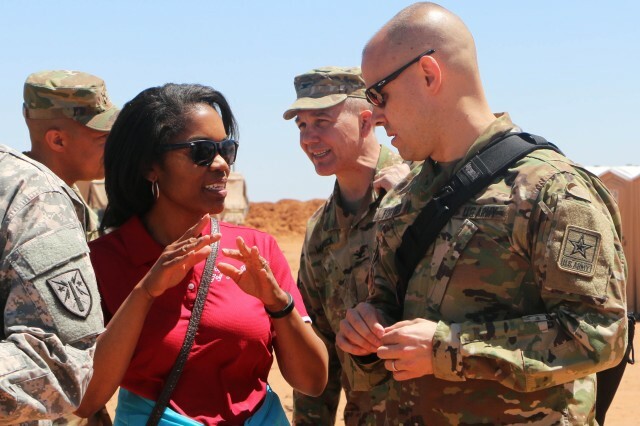 Other senior leaders who got an up-close look at NIE during the May 10 visit were Patrick J. Murphy, the undersecretary of the Army, and Steffanie Easter, principal deputy assistant secretary of the Army for Acquisition, Logistics and Technology. With the NIE's task of maturing the Army's tactical network, senior leadership interacting with Soldiers on site is essential to decisions being made at the Pentagon level. "In order for acquisition efforts to support Army modernization, focusing and listening to our Soldiers' reactions to the provided capabilities takes it a step further," McFarland said. "It helps us determine if we are meeting our Soldier's requirements based on their experiences and if what we are providing them will enhance their needs in an operational environment." During each NIE and AWA, Soldiers spend roughly two weeks in the Fort Bliss desert evaluating Army technology, enduring the heat and sand storms of a realistic operational environment. 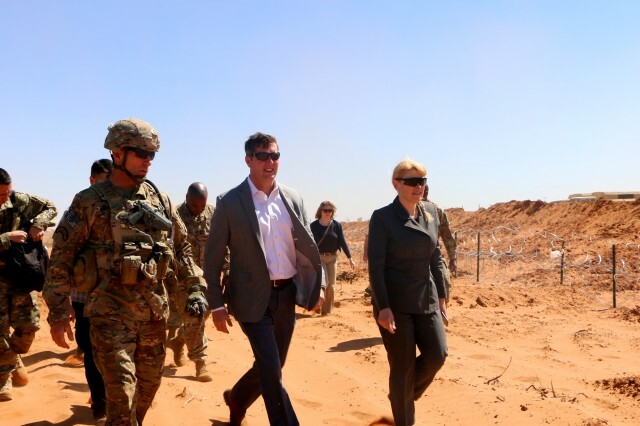 Senior Army leadership witnesses these rough conditions when they visit the Soldiers to obtain feedback on the technology and to evaluate the modernization process. "I think the NIE is where the rubber meets the road," Easter said. "After this visit, I am going to be thinking a lot about cyber security, with all the technology we have given Soldiers, it helps them in a lot of different ways, but it also creates another avenue of information for others to see." A major focus of NIE 16.2 was improving solutions to strengthen the network against cyber threats while enhancing expeditionary mission command capabilities. Network operations tools being assessed will simplify how Soldiers manage network capability and initialization, with greater security. Army acquisition leadership evaluating such emerging network enhancement capabilities in a realistic operational environment provides perspectives that may not be seen in a lab with equipment working autonomously.